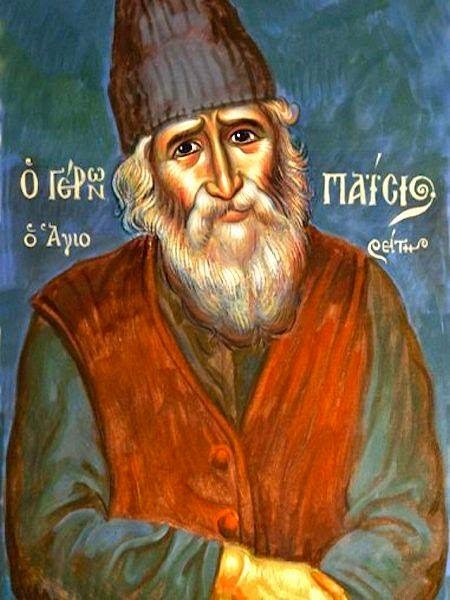 An untranslated chapter from the book "The Gurus, the Young Man and Elder Paisios"
An ancient Christian ascetic writer says, “Man is first conquered in the mind.” That is, if he believes some lie as the truth, then the mind is conquered and the man is deceived. Intellectual deception is not something we suffer without consequences. When we try to adopt these fake beliefs in our life, then we will start to pay. Our way of life, our behavior, and our reaction to life's irritations have an immediate and close relation with our thoughts and beliefs. The rulers of all the ages knew this basic truth. They knew that in order to rule the masses, they would have to impose their thoughts and beliefs upon them first. Thus, they proposed a basic worldview that helped them to rule over and prohibit with the death penalty every other religious/philosophical worldviews that come into opposition to their own. Thus for example, the Persian kings, Egyptian pharaohs and the Roman emperors declared themselves "gods" in order to justify their dictatorship/despotism. 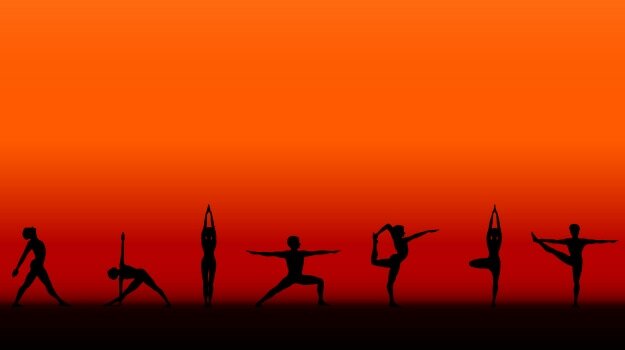 Yoga: A Science or a Religion? An untranslated chapter from the book "The Gurus, the Young Man and Elder Paisios" (pages 364-370 in the original Greek). There was a time that my thoughts and my mind’s ability to reason had become “paralyzed”. And this had occurred, in spite of the fact that I had studied the positive sciences and had been trained to think. I was always mysteriously drawn to exotic philosophies and oriental super-humans. I would enthusiastically and thoughtlessly swallow any theory that was given to me. After all, they were the experts!! No one had ever thought of doubting them. It was pain that awakened my mind. I had suffered many things on their account. I had been exposed to danger, pain, fear, and that was why I was forced to start thinking. I had to rid myself of a certain “psychological suggestion” the existence of which I had not been aware of at the time. I had to struggle hard to face reality. I needed to analyze, to examine actions, words, intentions - I had to reach conclusions about people. 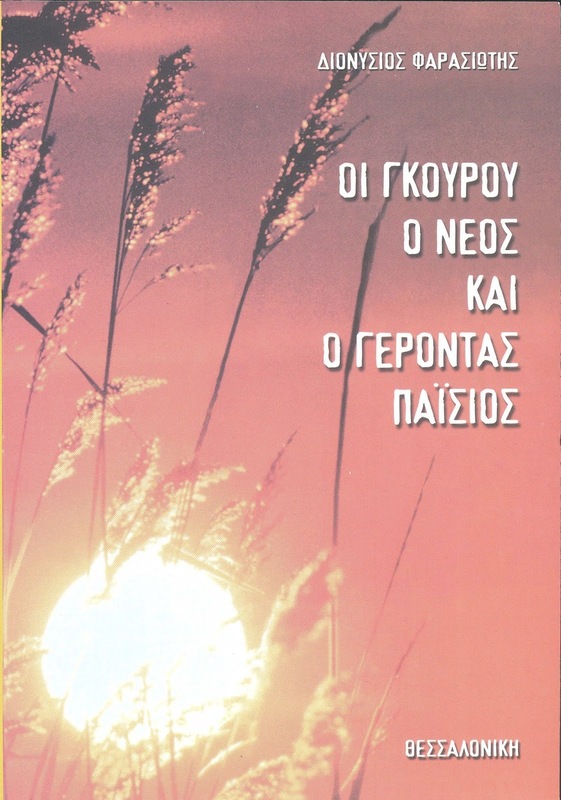 In 2001, a book was published in Greece which sold like wildfire: Οι Γκουρού ο νέος και ο Γέροντας Παΐσιος (The Gurus, the Young Man and Elder Paisios) by an author known under the pseudonym of Dionysios Farasiotis, who we now know to be Athanasios Rakovalis, a professor of physics. The book made a deep impression on many a spiritual father and it was highly recommended in Orthodox bookstores, especially for people confused or mixed up with the New Age, Hinduism and Yoga. "Once, dressed as I was in my monastic schema, I went to the Synagogue. At the entrance hung a large portrait of Moses. I venerated it. The attendees liked this. Moses was a great prophet and I gave him his due respect. I had entered as they were reading from the Bible. Few were there and they looked at me with surprise. I began to preach, and when they heard about Christ they called for their High Priest. He came out but he did not stop me. Afterwards he invited me into his office. He listened with great interest and attention to what I said about Christ. Finally, he thanked me and we bid farewell. 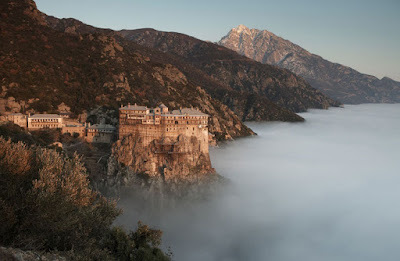 On my last trip to Mount Athos I visited the Monastery of Simonopetra. It is a majestic monastery and the sky was fully blue. There I met a graceful novice monk from China. In truth, he surprised me by his presence. An Orthodox cassock on a Chinese man? I was moved somewhat. I had never seen this before up close, only in pictures of missions. An inheritor of a great cultural tradition and for him to embrace Christianity? My friends and I got curious to ask him about this. 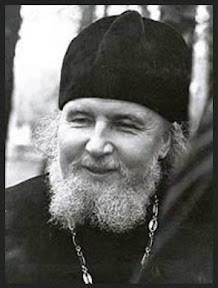 "Brother, how did you, a Chinese man, embrace Orthodox Christian monasticism coming from such a great cultural tradition? 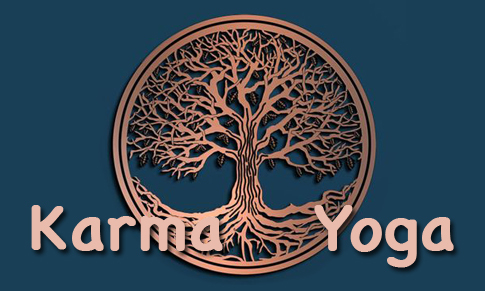 Were you a Buddhist?" "Yes, of course, I was a Buddhist." "What won you over to Christianity?" "Yes, yes, Father, hahahahaha! ", he laughed, since out of every three words the Chinese seem to laugh at two. "In Buddhism, my Father, you are very very much alone. There is no God. Your entire struggle is with yourself. 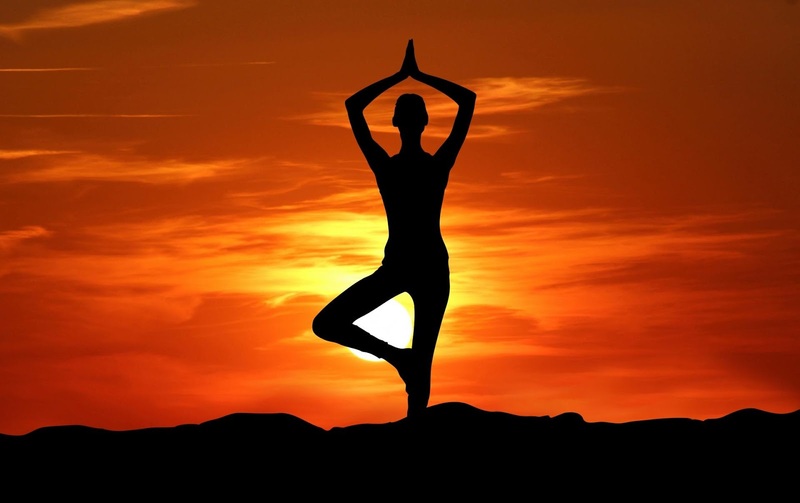 You are alone with yourself, with your ego. You are totally alone in this path. Great loneliness, Father. But here you have an assistant, a companion and a fellow-traveler in God. You are not alone. You have someone who loves you, who cares about you. He cares even if you don't understand Him. You speak with Him. You tell Him how you feel, what you would have hoped for - there is a relationship. You are not alone in the difficult struggles of life and spiritual perfection. I realized things in those days. A severe fever bound me to bed. No doctor could find anything wrong with me. The clinical picture wasn't clear, at least the doctors couldn't see anything. The pain was unbearable and there was absolutely no pain killer that could stop it. I changed three different pain killers and still the pain was not alleviated. At this time I got the news that the brother of my father, whose name I bear, had an advanced form of cancer in the vocal cords and larynx. He had a largyngectomy. It was the result of chronic alcohol consumption and smoking. Generally he lived a bad life, without any quality. Then I felt something a former Buddhist and now a Christian monk on Mount Athos told me, that you need to have a God you can talk to; to perceive and to feel someone besides yourself Who hears you. I don't know if it's wrong or right. I only know it is a deep need of man. This is evidenced by life itself. Even these Buddhists, who are from a non-theistic religion, created various deities. Even in dream language and worlds. But they have a need to refer to someone, to something, someone beyond and outside themselves, even if it's dreamy. Besides, reality and truth is something very relevant and will always remain so. It is an enigma, a mystery." With this I remembered the words of Saint Gregory the Theologian, who had a sensitive and melancholic nature, when he said: "When you are not well, or not feeling so, speak. Speak even if it is to the wind." If someone loses his faith in God, he is recompensed with stupidity. Of all stupidities, it is difficult to say whether there is a greater one than this: that someone who calls himself a Christian and then proceeds to gather pathetic proofs for God and eternal life from other beliefs and philosophies. 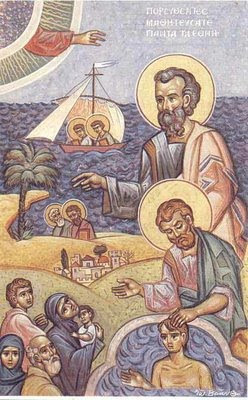 He who does not find gold among the wealthy; how will he find it among the poor? 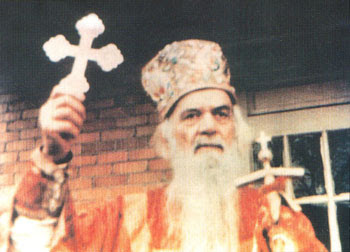 The revelation of eternal life, of facts, of proofs, of signs, and of actual visions of the spiritual world - all of these not only constitute the foundation of the Christian faith, but constitute its walls, floors, ornaments, all the furnishings, the roof and the domes of the majestic building of the Christian faith. A single ray from the spiritual world glistens through every word of the Gospels, not to mention the miraculous events, both in Evangelical and Post-Evangelical times as well as throughout the entire history of the Church for two-thousand years. Christianity has thrown open wide the gates of that world in so great a measure, that it should not be necessary to call it a religion, in order not to confuse it with other faiths and religions. It is a revelation! God's revelation! They were going to abolish religion, because they thought religion creates problems. Now they slowly see that humans, when they don't have a faith, they don't have boundaries and they become beastly; they have nothing to stand on without ideals. 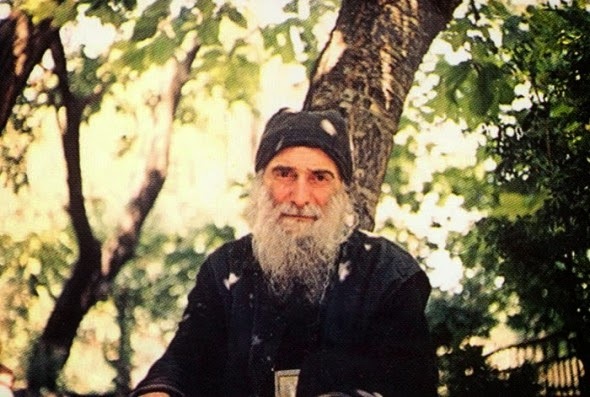 The Author of the Book "The Gurus, the Young Man, and Elder Paisios"
There is a popular Orthodox book in English titled "The Gurus, the Young Man, and Elder Paisios" by someone who does not want to reveal his identity and gives himself the pseudonym "Dionysios Farasiotis". 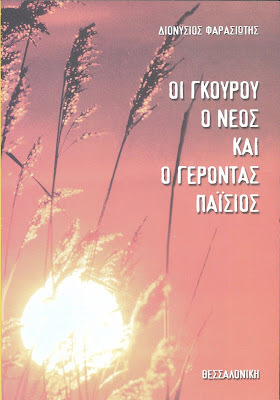 But in a lecture back in 2011, a noted author in Greece who has written other serious books about Elder Paisios revealed that he was indeed the author of the book "The Gurus, the Young Man, and Elder Paisios". 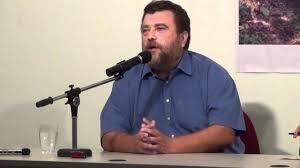 His name is Athanasios Rakovalis, a professor of Physics. Below is a brief outline of what he said in the lecture, and the video can be seen below the text. We often hear from atheists how religion is dying out as mankind comes to see the clear light of reason. Atheist “intellectuals” speak disparagingly about religion and predict that mankind is on the cusp of a new age in which religion will simply disappear as science, technology and reason are in the ascendant. Religious fanaticism is a narrowness of vision, a blind confidence that you're right, an unwillingness to listen to someone else's opinion, impatience with others. If we don't fight religious fanaticism, it will grow into such a defect that it becomes a delusion, and this is a terrible thing. At the base of delusion lies inordinate pride, and (as we know), God opposes those who are proud (Jam. 4:6). Deliverance from delusion requires means which not all people possess. We must fight religious fanaticism, and our battle will be successful only when we depend not only on our own powers, but turn to humility and to the help of God. This will put us on guard against delusion. 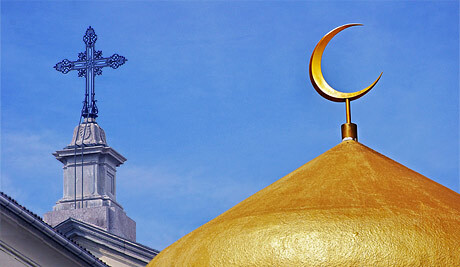 In Islamic teaching, Jesus ascended to heaven – but not after his death and resurrection as is reported in the Gospel. 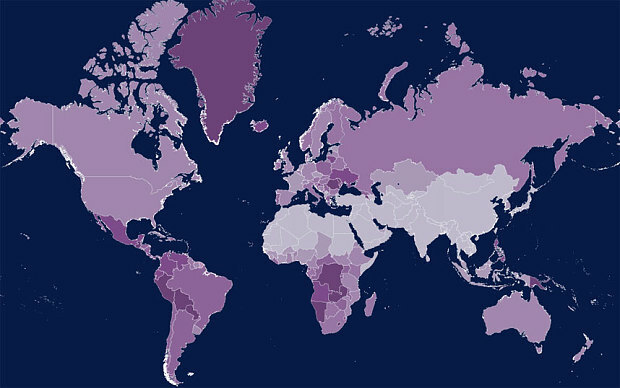 Rather, most Muslims believe that Jesus ascended without dying. The Quranic prompt for this teaching is S 4:157–58: “ … they did not slay him, neither crucified him … Rather, God raised him up (rafa'ahu) to him … ” Muslim exegetes have traditionally explained these verses to mean that God raised Jesus alive and projected Jesus’ “likeness” onto another person, whom the Jews then crucified. 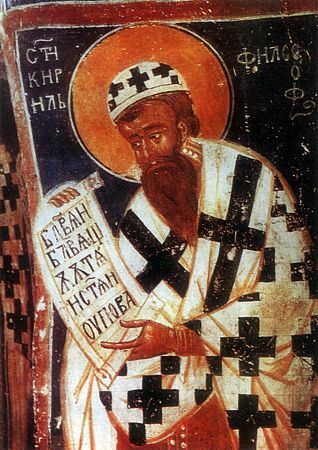 In chapter six of the Life of Constantine-Cyril, the author speaks of an invitation being sent by the Arabs to Constantinople to hold a religious disputation, with particular reference to the Holy Trinity and belief in one God. The emperor thereupon is said to have convoked the Senate in order to deliberate as to what should be done. He asked Constantine, known in the text as the Philosopher, at that time only twenty-four years old, to go to the Arabs, probably in Samarra near Baghdad which was the residence of the Caliph, and to take part in the religious discussion. The year this reportedly took place was in 851. We all want God to give unity of faith to the world. But you are confusing things. The reconciliation of people is one thing, while the reconciliation of religions is another. Christianity requires all of us to love everyone with all our hearts, whatever faith they may have. 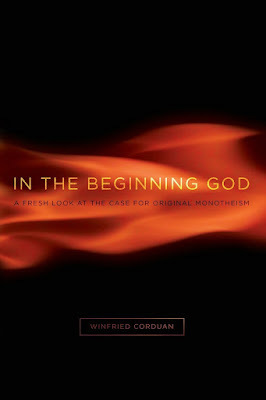 Book Recommendation: "In the Beginning God: A Fresh Look at the Case for Original Monotheism"